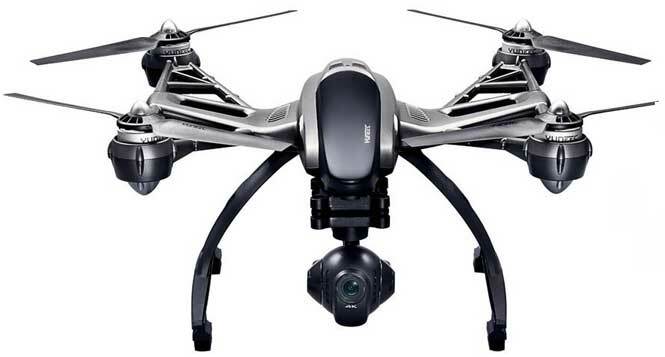 Looking for our top drones for sale? We simply MUST recommend this again. Originally listed as one of our top picks for drones, it is certainly our top pick for drones with a camera. If you'd like to check our general review, you can read it here. 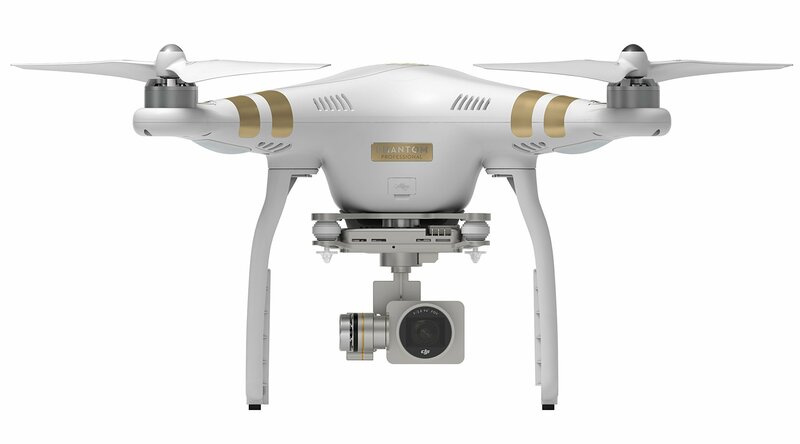 The DJI Phantom 3 Professional sports a three-axis stabilizing gimbal supporting a very high end 4k UHD camera. With a 16GB on-board Micro-SD card you get plenty of record time, and can even stream the content in 720p to the controller. Extra anti-collision sensors and programming mean you can safely fly this drone indoors to capture great shots as well. Louder than average operation makes close-quarters recording uncomfortable. There have been few exemptions from the FAA's no-drones policy, but the recent ones have been a glimmer of hope for media production companies. In the past it has been impossible to gain permission to use drones in operations other than commercial industries. Hollywood's exemption means it will be very visible as to how beneficial this drone usage will be. Better definitions of regulations in countries other than the U.S. lead to investments in those areas while the U.S. drone manufacturers suffer a long wait and test of patience in developing their camera drones. Instead of producing high quality drones for industry to use, and thus pushing technology, they primarily must remain in the hobbyist and small drone market. In the movie industry, the privacy issue of camera drones is a non-factor, as all crew members know cameras are rolling, and the issue of safety is a smaller one because the crew is well used to aerial hardware. Because of this the FAA is comfortable giving the TV and film industry permission to use drones, and heartens other companies waiting for permission to use drones with cameras. Its sleek design sets the Yuneec Typhoon Q500 aside from the rest, and its great features and customizability make it a great alternative to the Phantom. With the optional GoPro with this drone you can stream directly to your tablet or phone controller. 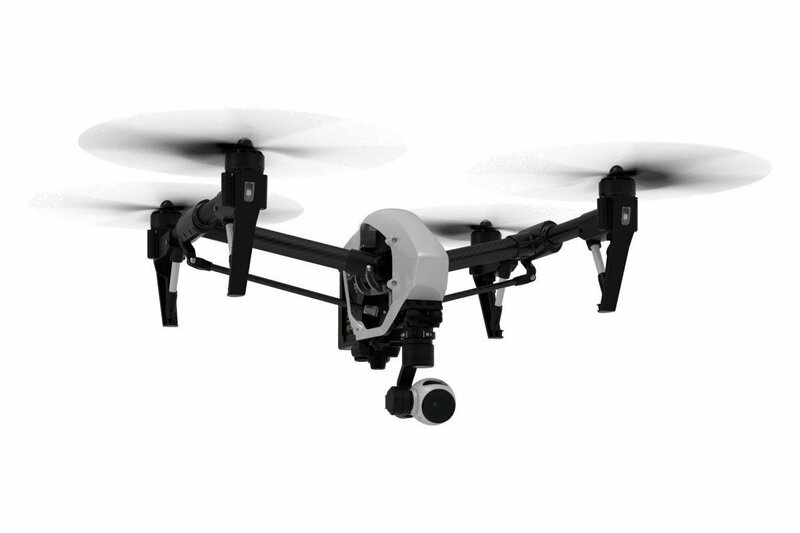 Yet another DJI product in our line-up, the DJI Inspire 1 is one of the nicest. Its unique 360 degree rotating camera is a vast improvement over most drones with cameras, as it doesn't need to turn itself to adjust the view beyond the usual angle. Built with exceptional materials such as carbon fiber, this drone can take some abuse, but likely won't ever crash because of its advanced sensors and flight assistance. The 3D Robotics IRIS+ features a pricepoint at about half that of the other drones and is much easier to fly than the other drones as most of the flight is automated. Interesting abilities such as a 3D modeling mode and 3PV Follow Me allow you to set a target and have the drone do all the flying for you. The drone comes with a more universal mount for gimbals, allowing you to choose whether to go with their camera kit or a 3rd party option without need for modifying the drone. The 3D Robotics Solo GoPro HERO4 bundle includes everything you could possibly need for many flights. 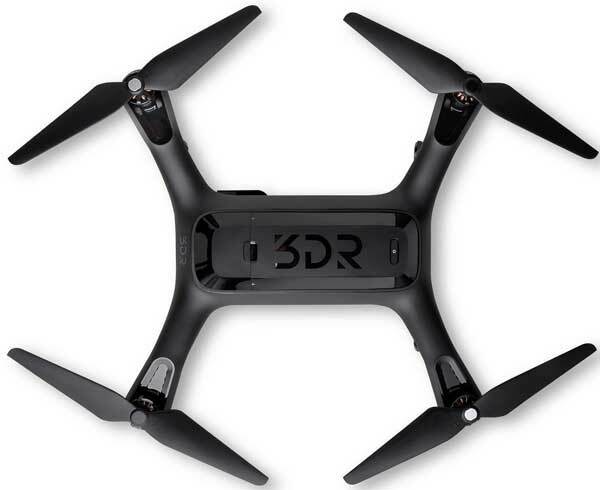 The Solo drone itself is a great machine, and in this bundle you also get the GoPro HERO4 and a 2-axis stabilizing gimbal, 32GB SD card, camera cleaning kit, extra propellers, and the shroud for the gopro. The bundle price is a good deal and the customer service of 3DR is great. The military calls them UAVs, we call them fun. These drones are by far the best camera-equipped drones on the market right now. Most of these drones require a significant amount of flying skill to produce quality results, even though most include incredible stabilization features. Some feature auto-follow abilities to track an object or person for an action shot, or simply so you can operate hands-free, while some offer incredible flight assistance. ... Read more about drones.